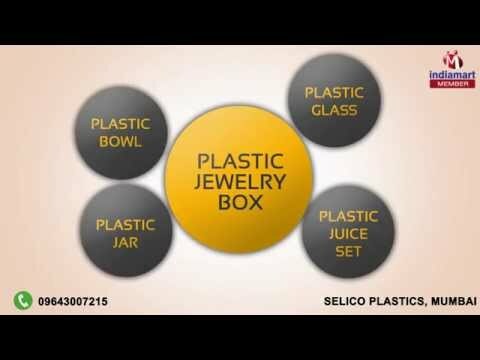 Welcome to Selico Plastics, established in the year 1998, we are the leading manufacturers, suppliers and distributors of this commendable and wide range of Plastic Containers & Household. The range made available by us, comprises the finest and the most demanded products like Plastic Imitation Jewelry Boxes, Plastic Glasses and Plastic Jars. Manufacturing of this range is done as per the norms and guidelines of the industry, utilizing the finest raw materials and modern machines. This ensures the products finishing, durability and sturdiness. In addition to this, the range is marked at the most reasonable rate possible. The highly developed state-of-the-art infrastructure at Selico Plastics, has been parted into a number of highly operational units, for reasons of attaining smoother and effective management of the firms operations. In addition to this, our ethical work practices, have helped us in generating a huge client base.